This radio receiver for the DiMAX system is connected to DiMAX central stations. Up to eight (8) Navigators or other DiMAX R/C components may be operated by one single receiver. 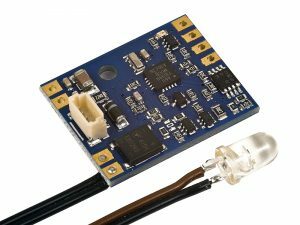 NEW: The receiver now supports analog throttle R/C operation via Navigator (requires LGB 51070 and PIKO 35002). Navigator firmware 1.9 required for analog operation. With the DiMAX radio receiver we present you a very special novelty. 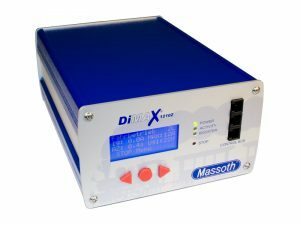 The DiMAX radio receiver enables the use of the popular DiMAX Navigator on digital systems from Massoth and the new LGB© MZS III digital central station. In addition, radio remote control of analogue cruise controllers via navigator (requires LGB 51070 or PIKO 35002) is now possible. 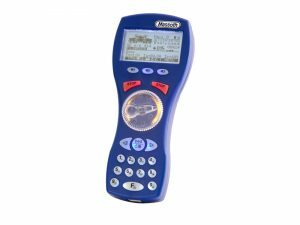 The use of the analogue radio requires software 1.9 in the DiMAX Navigator. 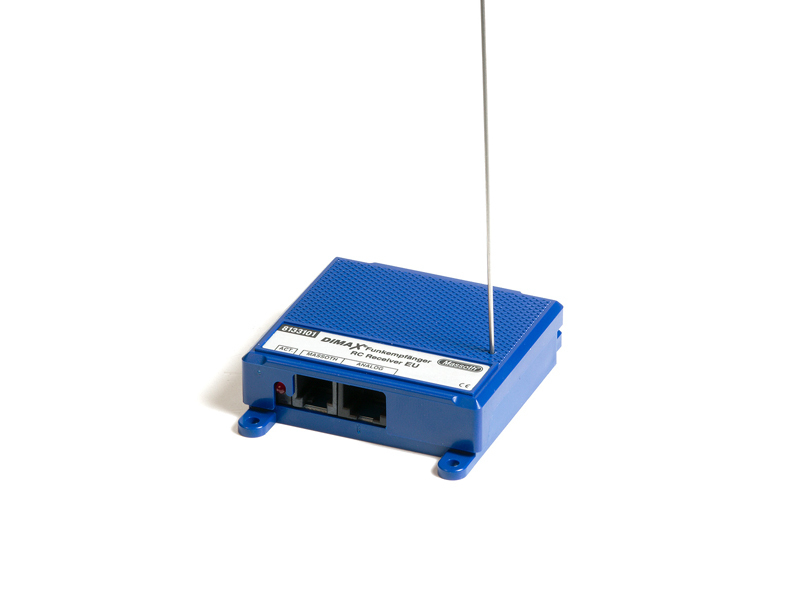 The radio receiver allows the operation of up to 8 DiMAX navigators via radio. The receiver is connected to the digital central station via two integrated sockets. The additional Massoth socket can also be used for cable operation and, of course, also for charging the batteries, as is usual with Massoth. The power supply is already provided via the digital bus. 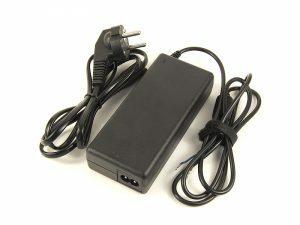 An additional voltage source is not required. A range of approx. 50 metres allows trouble-free operation in any position. Outside, the range is up to 100 meters. Even unexpected radio interference is optimally provided for, four different radio frequencies can be set and thus interference from other devices can be avoided. The DiMAX radio receiver is designed for use with DiMAX digital control panels and is compatible with the new LGB MZS III digital system. Here it can be used without restrictions. With the activity LED you are always informed about the current status of the radio receiver. A simple and understandable flashing code signals the operating status at any moment. The DiMAX radio receiver is equipped with the latest technology – it can be updated at any time by means of a software update. This means that future expansions of the bus functionality and range of functions will also be possible without any problems. The installation of a software update is carried out directly via PC and control center. The current software version 1.2 supports up to 8 radio subscribers per receiver. In the service area: Support & Download you can download the latest firmware and the manual.